You are one of many people who have asked themselves the question, “should I remodel my kitchen?” Before you swing that hammer here are a few things to think about. 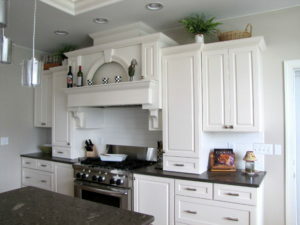 Your home’s resale value is the first thing to think about when considering a kitchen remodel. The cost of a kitchen renovation can range from a few thousand to one hundred thousand depending on many variables. 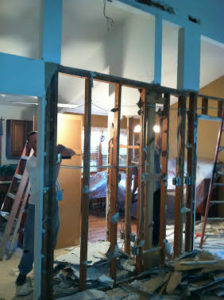 If you are seriously considering a remodeling project, there are probably some reasons behind it. Function and style may be factors behind your desire to remodel, but just be careful when balancing your wants with your home’s resale potential. Another important factor to think about is the conveniences your kitchen is providing you right now. Once renovation begins your home will be occupied by various specialty contractors and your kitchen’s ease of use will be briefly disrupted. Such a project obviously makes your kitchen unavailable for a period of time, so be sure to clearly think through the reality of not having your kitchen. Privacy and safety should also be discussed with your contractor before and during the remodel so that both sides are working together to protect your home and family. Trust should be a top priority with any contractor you hire. 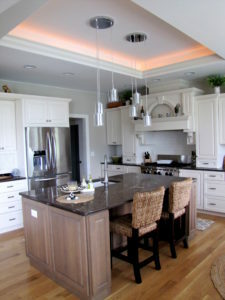 You must have a high level of confidence that your contractor shares the same passion for your kitchen as you do. You should feel he or she respects your budget and cares about the amount of disruption a renovation project has on you and your family. All of these factors should be carefully considered when thinking about a kitchen remodel.